Pomegranate has shown promise in the battle against breast and other cancers. Researchers at City Hope Hospital in Duarte Cal demonstrated a suppressive effect on the proliferation of breast cancer cells through its polyphenols such as ellagitannin. It has also shown inhibitive effect in vitro on prostate cancer cell development as well. 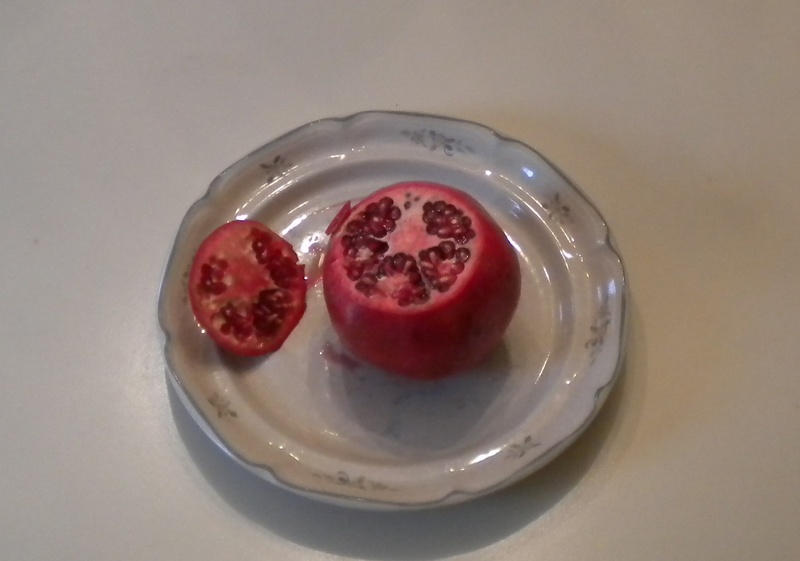 According to the National Cancer Institute pomegranate may have an ability to induce apoptotic cancer cell death, and it can possibly slow the matastasis of prostate cancer to the bone. A lot more study is clearly called for in this area. Despite all these health boons, pomegranate is also low calorie, it contains potassium, fiber and vitamin C. With it’s rapid digestion and antioxidant properties it is perfect for dessert or an after workout snack. I’ve found that the seeds (or arils) last quite a while in a dish in the fridge. You can have them ready for adding to other drinks or for sprinkling on ice cream, etc. Why not pick up one of those big red globes yourself and give it a try? The best way I’ve found for getting at the seeds is to do this: First cut through the skin in little sections kind of like the pattern on a basketball. After you cut the end off (about an inch) you can pull it apart like a peeled orange at these cuts, and the seeds pull right away from the husk. You can eat them right there or put the pile in a dish for later. These are like tasty little health capsules in a bowl. The perfect recipe for any anti-ager! 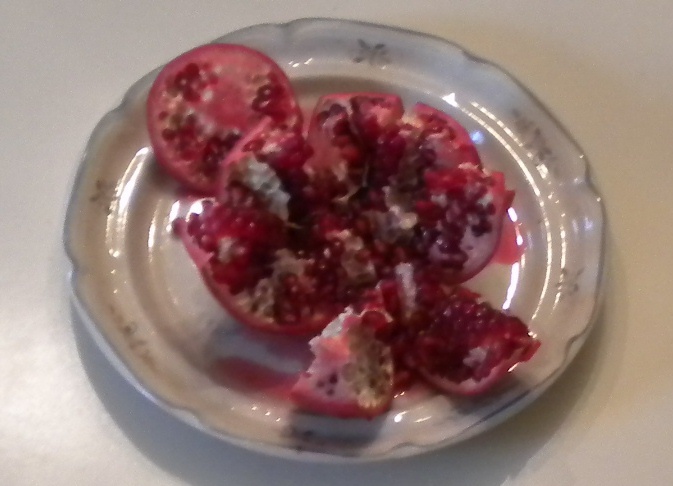 This entry was posted in Diet, health and tagged cardiovascular protection, cholesterol, diet, eating, fruit, HDL, health, LDL, pomegranate. Bookmark the permalink.